The humble Creme Egg is quite a big thing in Britain. When I purchased this box of eggs in Aldi the lady serving me said that she was excited to see them back on the shelves and that she looked forward to them every year. Me too. This year they have been surrounded by controversy, hence my decision to give them a review. They have had a recipe change, the chocolate is no longer Dairy Milk and it is pretty shocking that they would mess with such a classic recipe in this way. I noticed too that although the eggs look the same size as last year they have 177 calories and last year they had 185 calories so there are changes afoot. 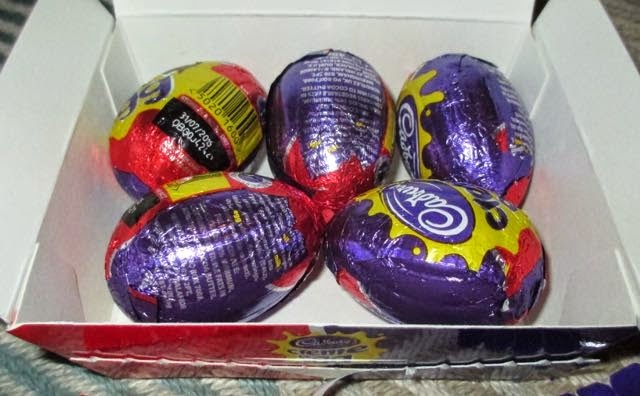 I unwrapped one of the eggs and it looked and smelt pretty much like every Cadbury Creme Egg I’ve seen previously. I bit in and the chocolate felt slightly harder than usual, I don't think the egg shell was any thicker it just seemed a little firmer. Now I'm going to be honest the chocolate wasn't that dissimilar. It was, if you were looking for it, sweeter and less creamy, and not Diary Milk. It wasn't horrible, it just wasn't the nostalgic taste you recognise as being distinctly Cadbury. The fondant seemed samey to me, overly sweet, but as a whole the creamy soothing edge of the egg wasn't quite there. 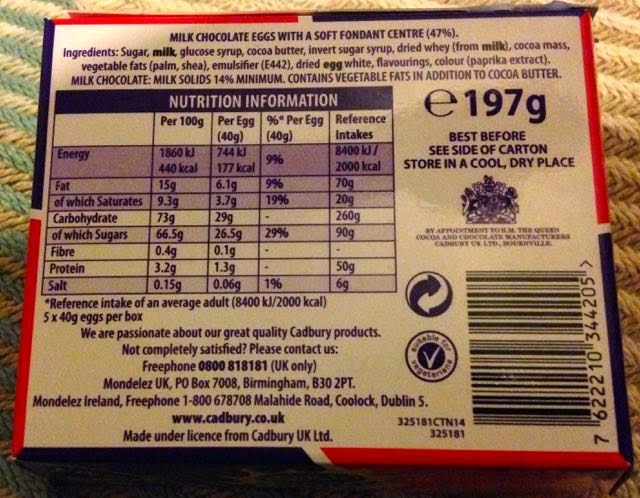 Cadbury have been quoted on saying they have improved the recipe for the public. I suspect a lot of the public wouldn't notice the difference, but I can't see how it is an improvement. Coincidentally the cocoa content has been reduced in the eggs and the price of cocoa has risen. More upsetting than all of that though is this box of eggs. You would be hard pushed to find real eggs in any numeration that isn't divisable by six in the shops. 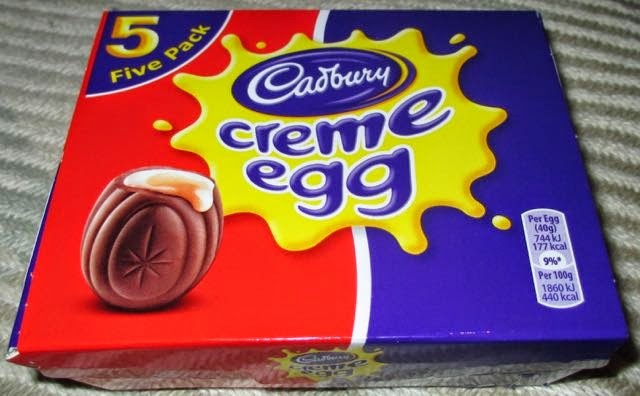 Last year a box of six Cadbury Creme eggs was £2 this year a box of five eggs is also £2, that's the part I find the worst. I'd rather have had a price increase and had six proper Dairy Milk eggs in a box. Changes in recipe worries me a lot. I have a nut allergy and until now have been able to have an occasional mini egg or cadbury chocolate button (only from the 3 pack) If they mess with the ingredients I and others may never be able to have chocolate or chocolate eggs again! It's bad enough that chocolate spread is no longer normal. Vegetable oil contains peanut oil and then they add nuts!